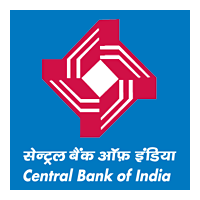 Central Bank of India Recruitment 2018-19: Apply Online for one FLC Counsellor vacancy in Central Bank of India recruitment 2018 in Chhindwara. 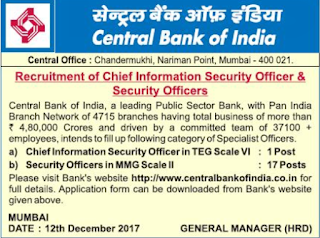 New recruitment Jobs 2018 notification published for the post Chief Information Security Officer in Central Bank of India recruitment 2018 read complete details before applying. One Vacancy in Central Bank of India for the post Director.